Watkins Potato Salad Seasoning Update! by Melody Thacker, in News, Now Available Comments Off on Watkins Potato Salad Seasoning Update! I have a huge list of people who are desperate for their Watkins Potato Salad Seasoning, they claim they simply cannot make potato salad without it! I feel the same way, it’s always been one of our family’s favorites too. NEW Update! Watkins Potato Salad Seasoning is no longer available but I have great news! Watkins has given us the recipe! Do you want it? Get Watkins Secret Potato Salad Seasoning Recipe here. 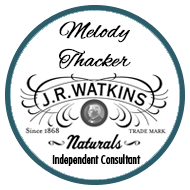 To be notified when Watkins introduces new products, about our monthly specials and other news please subscribe to Naturally Good News here. To learn more about and see all Watkins products go here. This expertly blended seasoning features the flavors of onion, garlic and a medley of spices to bring out the best in any potato salad recipe. Here’s Watkins Quick And Easy Potato Salad Recipe and some other ways to use this popular seasoning.